How Can I Go Dignity Medical Aesthetics, Inc? Where is Dignity Medical Aesthetics, Inc in El Dorado Hills on the Map? I went in with such apprehension: I have never had any services on my face before. What an amazing experience! Jennifer, RN made me feel so comfortable and having never had Botox before, she explained it so well to me and I knew she was experienced and knew her stuff. I was impressed she wanted to have a follow up with me in a couple of weeks to make sure I was happy. Boy was I! That was almost 8 months ago and I have seen her ever since to make the years disappear on this 50 something face. I enjoy Dignity Medical, They are very professional, thoughtful, helpful and friendly, It is amazing how good they can make you look!! I love the variety of services that are offered here at such affordable prices, I have seen Missy for almost 2 years now. Any one who asks how I look so Young at my age, I always tell them go to Dignity Medical, You can do look Young again Also! Missy ,at Dignity Medical is knowledgable. She answers all my questions and offers suggestions for my worrisome areas. She is also very skilled with those needles! Dena gives the best FACIALS EVER! My face is smooth and silky for weeks after seeing her! A great place to go. All are very friendly and understanding! My experiences at Dignity have been fabulous, and I never get tired of hearing the compliments. I have never been happier with my skin. Missy and the entire staff are wonderful. If you want to do something amazing for yourself that you will enjoy every time you look in the mirror; call and schedule your appointment today. You'll wish you'd done it sooner. 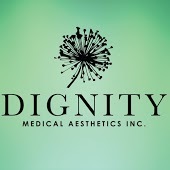 I have had a consistent and wonderful experience at Dignity Medical. I have been seeing esthetician, Dena Kirkland, for nearly five years and she is amazing. She is the perfect combo of professionalism and therapist! I wouldn't go to anyone else for facials or waxing. Recently saw RN, Jen, who removed several blood vessels from my back. She was great and made me feel very comfortable with the procedure and took the time to explain what was happening.